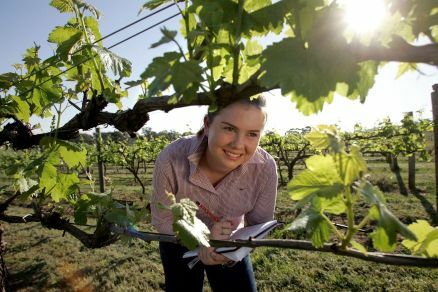 Guide for students studying Wine and Viticulture at the University of Melbourne. FSTA - Food Science and Technology Abstracts, produced by the International Food Information Service (IFIS), is a database of information on food science, food technology and nutrition. The database includes material from over 4,600 serial publications, covering all the major food commodities plus biotechnology, microbiology, food safety, additives, nutrition, packaging and pet foods. Coverage spans from 1969 – present and the database includes more than 900,000 records. An introduction to EndNote for Windows. How to create a Library and use Word to cite references and create a bibliography. How to get the items for your references. An introduction to EndNote for MAC users. How to create a Library and use Word to cite references and create a bibliography. How to get the items for your references. The AJGWR Style is the required style for students studying Wine Technology and Viticulture. This style should be saved into the Style Folder in the EndNote folders on your computer. Further instructions can be found in the guides listed below. Acta Horticulturae is a peer reviewed publication from the International Society for Horticultural Science. Note: When accessing this Acta Horticulturae online, please ignore the prompt to 'Buy this book' and accept the ISHS Terms and Conditions.